Your trusted personal service for online recovery of lost radio codes. 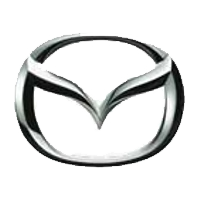 Our radio decoding service for radios fitted to Mazda cars. Unfortunately, at this time we are UNABLE TO PROVIDE CODES FOR RADIOS AND SAT NAV UNITS FITTED TO MAZDA VEHICLES. These codes must come from Mazda's database and you'll need to visit your local authorised Mazda dealer's service department. While we are always willing to try to help, please understand that if you pay for our service and we are unable to provide the code, we will retain 95p to cover admin costs. Our service is personal, not automated, so if you are not sure which numbers to give, provide us with all you see on the outside of the casing and we will check them for you. We aim to respond by email usually within an hour during office hours, a little longer at weekends. Our service is at our standard price of £7.95, but please note that we are very unlikely to be able to supply your code; however, we will assist with whatever advice we can pass on to you. If we are not able to supply the factory-set code for your unit, we promise to refund you, less 95p to cover admin and payment processing costs. After submitting the form, you will be forwarded to our payments page. Note that your request will not be actioned until payment is received. Our service is inexpensive but it is not free. We aim to give a good service to paying customers, with the assurance of our money-back guarantee. You will need to pull the radio from the dashboard to read the numbers needed from its chassis - this will be on a printed label, engraved on the metal case, or both. 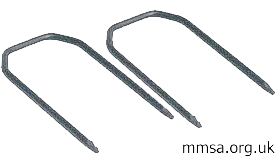 Extraction 'keys' (often of the type shown here) are required to remove the radio - don't be tempted to try removing the radio another way or force it as you may damage the surrounding dashboard trim. The keys make it very easy - you can find them in motoring stores or online. This independent website provides useful guidance on how to remove car radios and sat-nav units from vehicles. Use the form below to send us the details. You will be taken to a page where you can pay for our service using credit card or PayPal. Enter Any Additional Details: Not sure which is the part number etc? List them all here and we'll check them.